Is Hawaii Really a Part of the United States? Paul D’Amato directed my attention to this article in Truthout.org. The article is about David Keanu Sai, a historian who argues that Hawaii is not now, and never has been, a part of the U.S. The article is worth reading in its entirety, but his argument boils down to this: during the nineteenth century, many countries, including the U.S., recognized Hawaii as a sovereign nation. 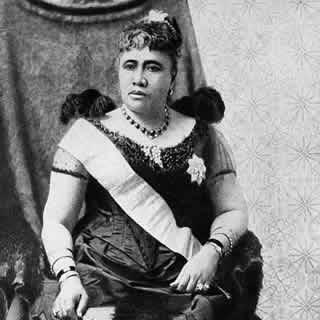 In 1893, President Grover Cleveland signed an agreement with Queen Liliuokalani in which the U.S. recognized her government as the legitimate government of Hawaii. However, in 1898 Congress passed a joint resolution declaring the annexation of Hawaii. Sai points out that a joint resolution is confined to the boundaries of the United States. Since the U.S. had recognized the independence of Hawaii, the resolution could not apply to it. Therefore, Hawaii is a sovereign nation and not a part of the U.S.
One of the many ironies here is that the Birthers are right in claiming that Obama was not born in the U.S., but not for the reasons they claim. However, since the Birthers will never admit that Hawaii is not part of the U.S., they can only base their arguments on nonsense. I think it worth noting that Obama’s opponent in the 2008 election, John McCain, was born in the Panama Canal Zone, so he was not really born in the U.S. either. I’ve always thought that the rule that president has to have been born in the U.S. is silly. It’s absurd to argue that the result of an election should be overturned simply because the winner was born outside the country. If lawmakers had any sense, they would pass an amendment to overturn this part of the Constitution. However, I don’t expect this to happen, especially since they still haven’t gotten rid of the Electoral College. This entry was posted on December 22, 2010 at 8:10 am and is filed under Imperialism. You can follow any responses to this entry through the RSS 2.0 feed. You can leave a response, or trackback from your own site. That’s an interesting question, I will have to look into that. I’m sure there are some Native Americans who would agree with that.